Photograph, Current building in Houston for Congregation Beth Israel. Image available on the Internet and included in accordance with Title 17 U.S.C. Section 107. Photograph, front view of the Congregation Beth Israel. Image available on the Internet and included in accordance with Title 17 U.S.C. Section 107. CONGREGATION BETH ISRAEL, HOUSTON. Congregation Beth Israel in Houston is the oldest Jewish house of worship in Texas. Its beginnings can be traced to the founding of a Jewish cemetery on West Dallas Street in 1844. The congregation was organized as an orthodox synagogue in 1854, and its twenty-two members, many of western European origin, obtained a charter for the Hebrew Congregation of the City of Houston on December 28, 1859. The institution started a religious school in 1864 and incorporated as the Hebrew Congregation Beth Israel in 1873, adopting the Polish minhag. Efforts to introduce the Reform style of worship, which began as early as 1868 with the adoption of the minhag America custom of prayers, were completed with the adoption of the Union Prayer Book in 1898 and the Basic Principles in 1943, which transformed the congregation from an Orthodox to an American Reform Jewish congregation. A new state charter was obtained in 1895. The Franklin Avenue Temple Beth Israel was completed in 1874, and a new temple at Austin Street and Holman Avenue in 1925 included the Abe M. Levyqv Memorial Hall. In 1945 the mausoleum at the cemetery on West Dallas was expanded, and new classrooms were added in 1950. In 1873 the congregation joined the Union of American Hebrew Congregations. The Hebrew Congregation Beth Israel was renamed Congregation Beth Israel in 1945. Its important early members included the president of the Houston National Exchange Bank, Henry S. Fox, and Morris Levy, one of the founders of the Houston Ship Channel Company. Chief rabbis of the congregation have included Henry Barnstein (later Barnston), who arrived in 1900, and Hyman Judah Schachtel, who came in 1943. The congregation publishes the Beth Israel News. Anne Nathan Cohen, The Centenary History of Congregation Beth Israel of Houston (Houston, 1954). 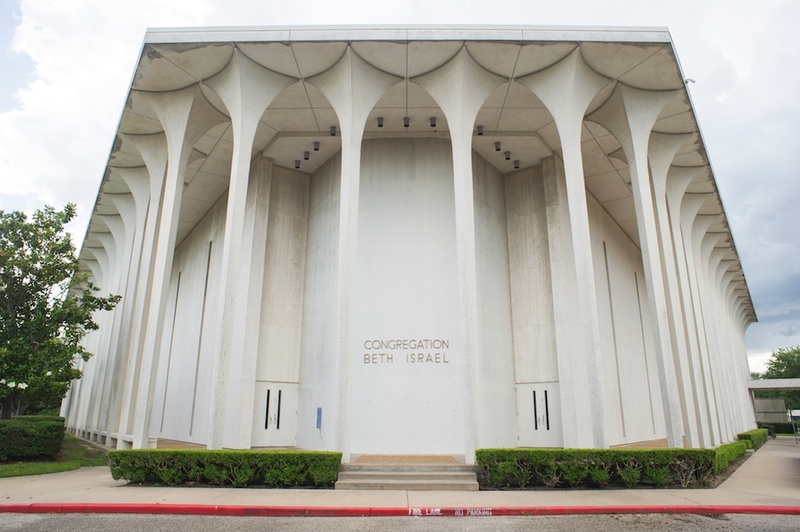 Handbook of Texas Online, Diana J. Kleiner, "CONGREGATION BETH ISRAEL, HOUSTON," accessed April 18, 2019, http://www.tshaonline.org/handbook/online/articles/ijc01.